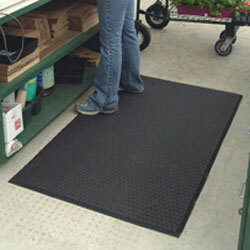 Runner mats are available for indoor or outdoor applications. 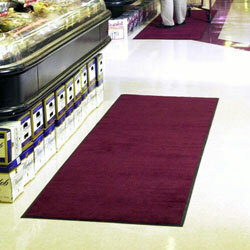 These mats can be used for hallways, entrances, red carpets events or any floor area that needs protection. 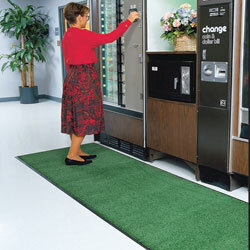 Mat runners and rolls are typically available in 3', 4.5' and 6' widths and lengths from 40' 50', 60' and even up to 100' feet long. Stylist indoor runners. Up to 40' long in 3',4',5' & 6' widths. Colorstar runners. Available up to 40' long and 3',4',5' & 6 wide. 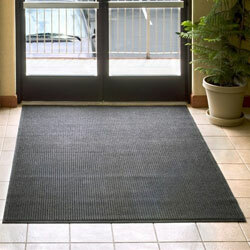 Indoor/Outdoor Mat. Waffle patterns. Up to 60' long in 3', 4' & 6' widths. 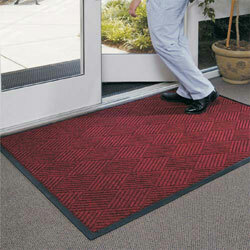 Indoor/Outdoor Entrance Mat. Diamond Pattern. Special sizes up to 61' long. 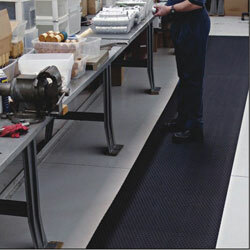 Anti-Fatigue Runners in 2', 3' and 4' widths up to 45' long. 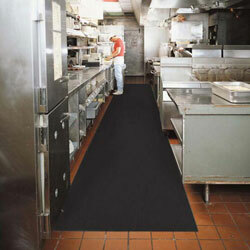 Superior Anti-Fatigue Runners available in 3' and 4' widths up to 75' long. 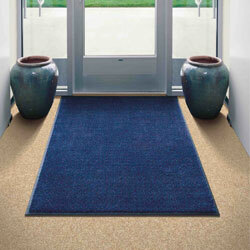 Provides protection for all types of floors. Vinyl runner up to 105' long. 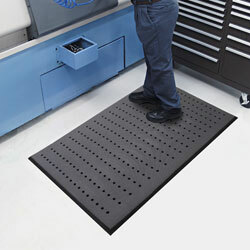 Slip-resistant premium electrically conductive mat 100% Nitrile rubber. Chemical Resistant.